Creamy cheese sauce & shell pasta. Smooth, creamy, mmm... 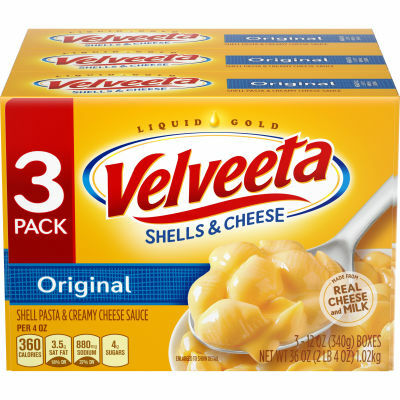 Serve up the side dish your family will love--Velveeta(R) Shells & Cheese. Made with smooth, creamy Velveeta cheese sauce, it's the perfect match for any meal. Just grab a fork and dig in. You know you want to. The best side of dinner.